Greasemonkey is a Mozilla’s Firefox addon that allows users to install custom scripts or available scripts. Greasemonkey can make the changes the user wants on web page content before or after the page is loading in the web browser. Greasemonkey helps in customizing page appearances, add new functions to web pages, fix bugs, combine data from different web pages and other purposes. 1. Go to Greasemonkey addon page, or click on the above download link and click on “Add to Firefox“. 2. Now, Firefox ask for user permission. Click “Allow“. 3. After a second, Install dialogue box pops up. After three seconds, click on “Install” button. If not interested, click “Cancel” to stop installing addon to Firefox. 4. After successfully installing the addon, Firefox asks user to restart the browser to activate the addon. 5. 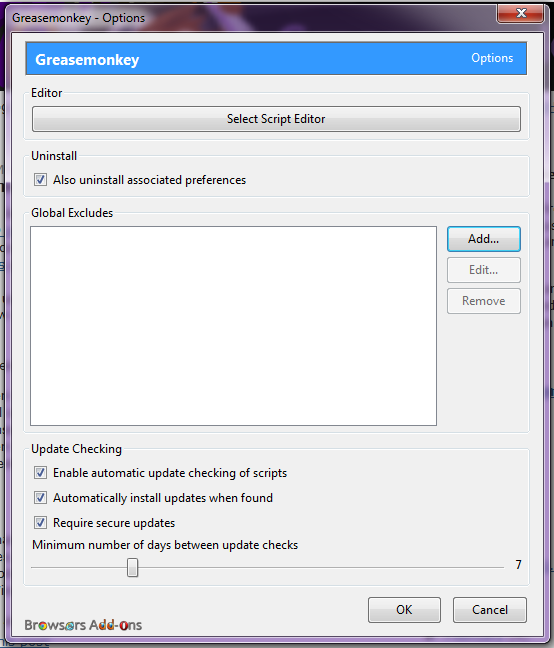 After restart, you can now use Greasemonkey. You can explore more about the addon by click on the Greasemonkey icon, which is located at upper right corner of the browser. 6. 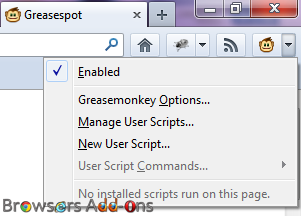 You can add you own scripts or upload available scripts by clicking on Greasemonkey Option. How To Achieve Maximum Download Speed in Firefox. Amazon 1Button, Amazon official add-on for Mozilla Firefox for easy online shopping. Forget Right Click, Here is a Save As Button for Mozilla Firefox.